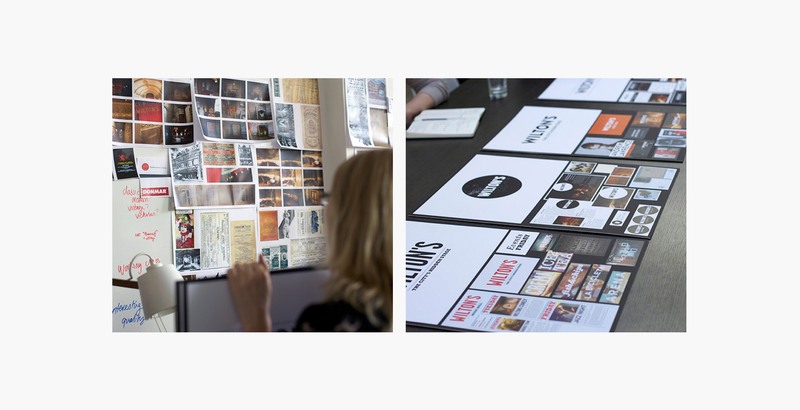 Branding the world's oldest surviving Grand Music Hall. 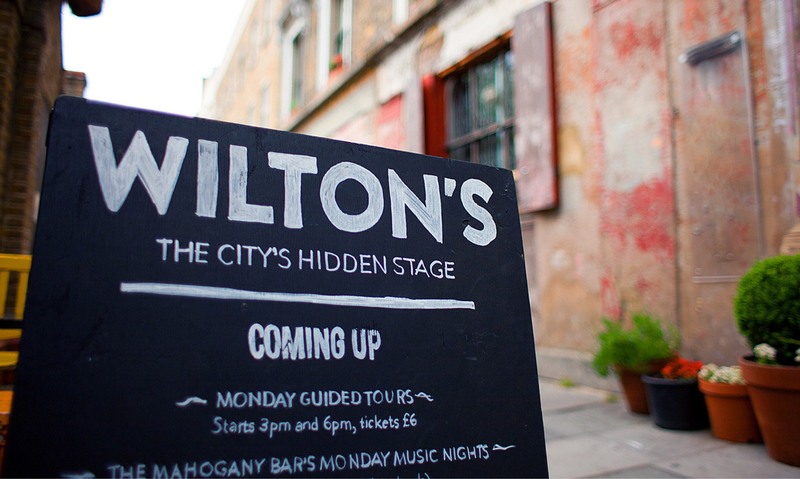 Wilton's is the world's oldest surviving Grand Music Hall and London's best-kept secret. This stunning and atmospheric building produces an exciting programme of imaginative, diverse and distinct entertainment including theatre, music, comedy, cinema, and cabaret. The brief was to position Wilton’s as a place of artistic distinction and diversity; a hive of activity anchored by a historic building with soul and heart – a place to experience and interact with. 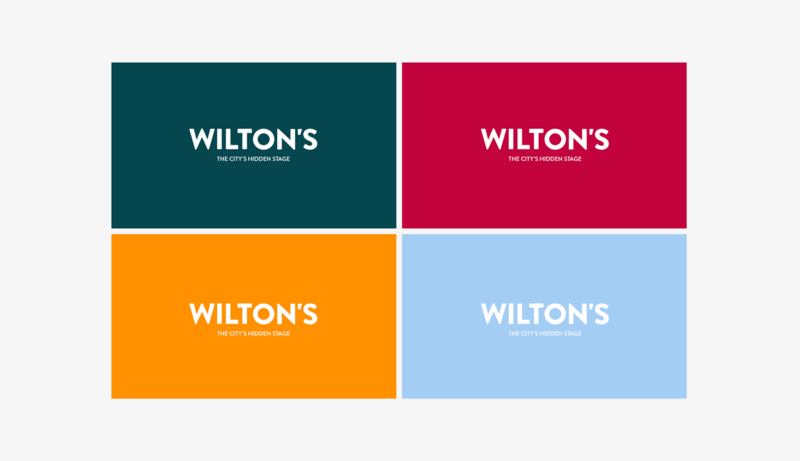 When developing Wilton’s visual identity, I felt it was essential to keep the best parts of its heritage and character, yet establish a contemporary feel to give a sense of the diversity that runs through Wilton’s. The logo mark portrays this diversity, using a contemporary typeface complimented with a letterpress effect that imitates the original features of Wilton’s building. 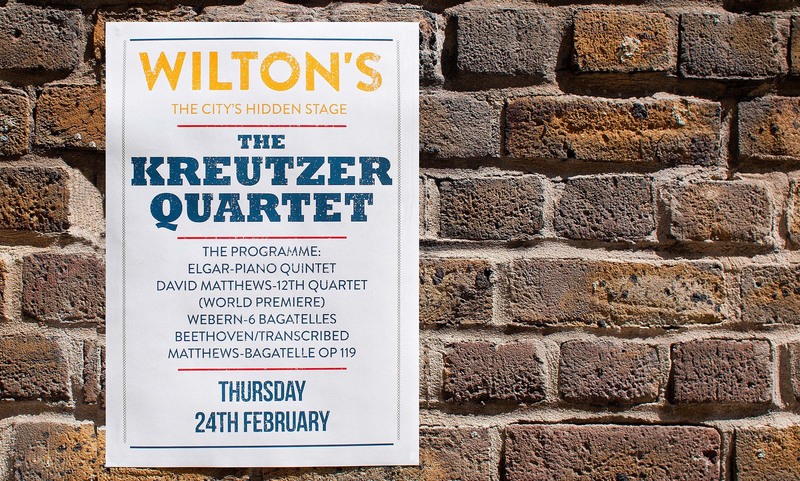 Complementing the logo mark is a set of fonts which were based on old music hall posters from Wilton’s heyday, giving it a feel of the original Wilton’s era, as well as helping break up poster content. A colour palette was created, influenced by the colours within Wilton’s, allowing it to sit comfortably amongst the elements of the building.